Promote real-world STEM skills in your halls and classrooms. 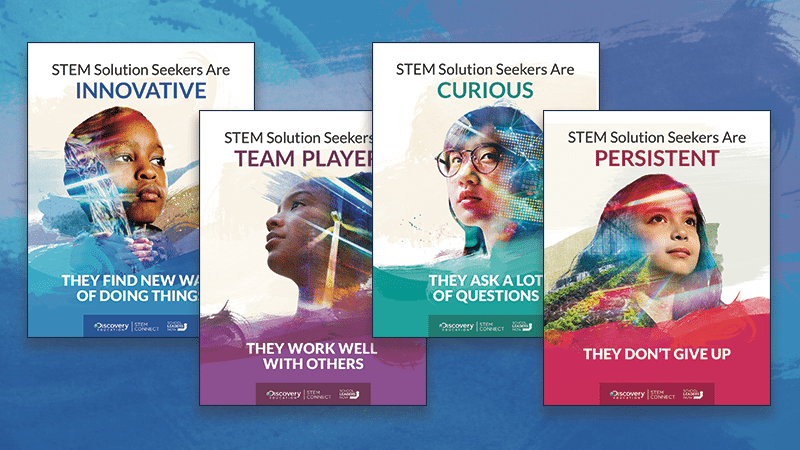 Want to enhance your STEM curriculum to teach these skills? 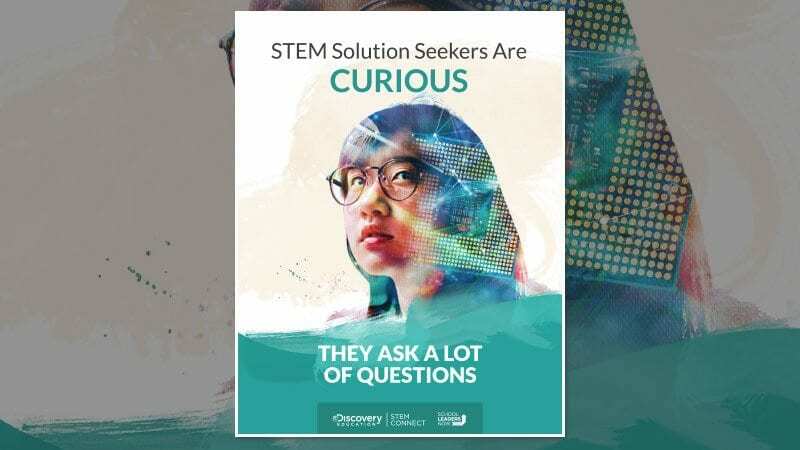 Discovery Education STEM Connect is a cutting-edge, interdisciplinary K–8 resource designed to enhance core curriculum and bring STEM to life in your classroom. Using relatable scenarios that connect students to real-world challenges, students gain valuable critical-thinking and solution-seeking skills for life. 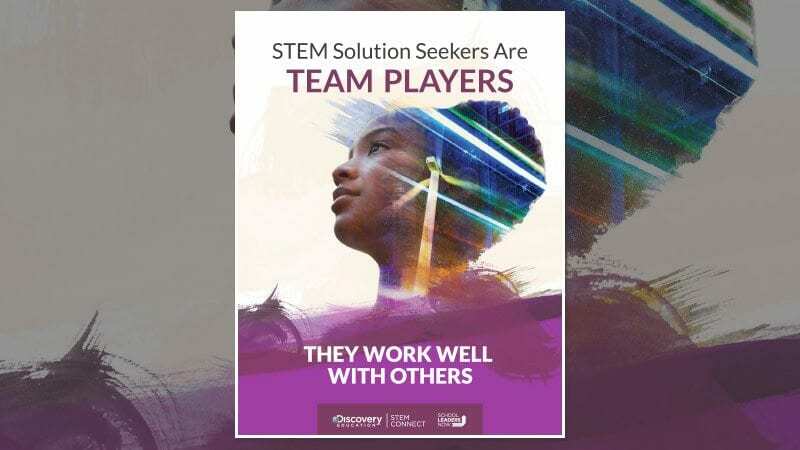 STEM curriculums often have a strong focus on building academic and technical skills—but what about the soft skills that our students must learn to prepare for the jobs of tomorrow? 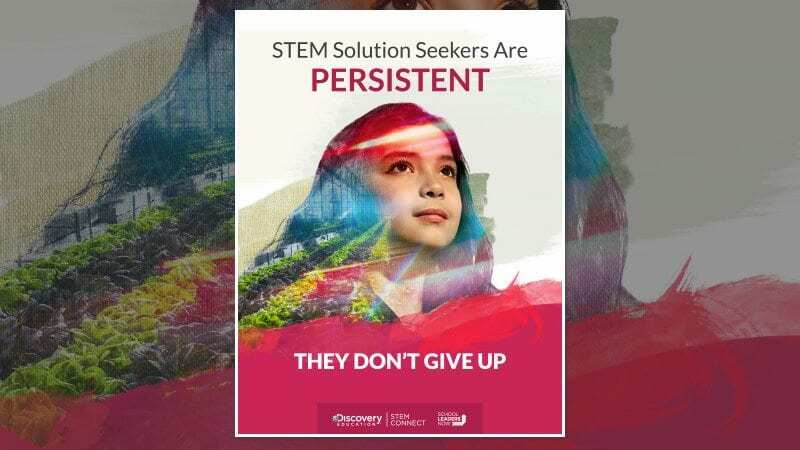 Hang these four STEM posters in your school hallways or classrooms to encourage students to be innovative, curious, persistent, and team players. 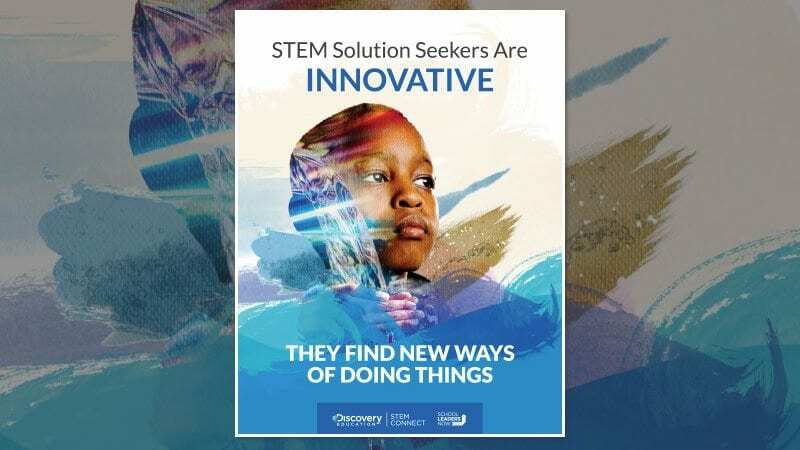 Here’s a preview of the free STEM posters. Submit your email to get the full set. They find new ways of doing things. They ask a lot of questions. Yes! Please send me news and offers from Discovery Education.